PHOTO: Once again EVA Airways flies high in the aviation safety rankings. 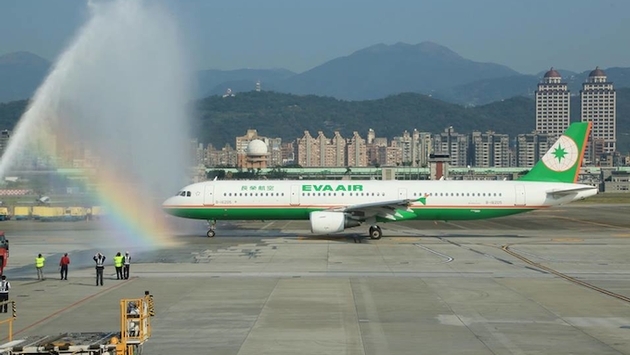 Germany’s AERO International Magazine placed Taiwan-based EVA Air was ranked fifth among the world’s among the top-10 safest airlines just behind Air New Zealand, Cathay Pacific Airways, Finnair and Emirates. The publication’s assessments for 2013 were released in its February 2014 edition. In the 10 years that EVA has been counted among the world’s 10 safest airlines, it has climbed in ranking. This marks the second time EVA has been recognized for its high safety standards, closely following rankings released by AirlineRatings.com earlier this month. AERO International’s safety rankings are based on analyses by Germany’s Jet Airliner Crash Data Evaluation Centre (JACDEC). This year, JACDEC evaluated more than 800 airlines worldwide and ranked flight performances, using criteria that included serious flight accidents within the last 10 years and flight losses within the past 30 years. JACDEC determined overall rankings by comparing an index value of each airline’s accumulated operations with those of other carriers. The complete list is available here. EVA has maintained a safety record without any flight losses or fatalities for its entire 22 years of operation. With only a small variation in their scores, EVA was ranked fifth after Emirates in fourth place. This is EVA’s highest score in JACDEC’s analyses. There are three other Star Alliance members listed in the top-10, including Air New Zealand, TAP Portugal and Air Canada that, with EVA, demonstrate the group’s high quality services. Connectivity has long been a major marketing obstacle for Australia’s Whitsunday Islands and so the news that Tigerair will commence services between Sydney and the Whitsunday Coast Airport (Proserpine) next April changes the picture for those selling Australia in the U.S.
“The opening up of the route between Sydney and Whitsunday Coast Airport is of strategic importance to the Whitsundays region, boosting regional economic growth and is warmly welcomed by the whole Whitsundays tourism industry,” said the Chairman of Whitsundays Marketing and Development Limited Tourism Strategic Advisory Group, Jeff Aquilina. The three weekly return services will provide more than 1,000 additional visitor seats per week through Whitsunday Coast Airport in Proserpine stimulating local industries and fostering job development and further growth of the Whitsundays region. Sydney and Melbourne are important holiday markets for the Whitsundays. WMDL in close partnership with Tourism and Events Queensland will work to leverage the increased access and increase visitation to the region and provide real benefits. The explosive growth of Shanghai has made it almost impossible for the city’s transit infrastructure to keep up with demand. 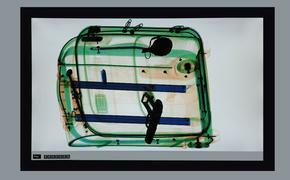 Airports in Shanghai have been particularly under the gun. By 2020, in six years’ time, Shanghai’s Pudong Airport (PVG) is expected to handle 80 million passengers and 4.7 million tons of cargo, which will make it Asia's busiest aviation hub. A design contract for the world’s largest terminal measured in gates was won by Corgan, in association with Chinese partner IPPR. The new Terminal South Satellite Concourse at PVG will have more than 100 boarding gates when completed, making it the largest satellite concourse in the world. PVG currently operates two terminals with 28 and 42 gates respectively, but the airport wants to keep pace with the growth of China's largest city, which is also its financial capital. Corgan's concept focuses on maximizing passenger flow and experience in an efficiently organized building that is designed to be beautiful yet efficient in both its operation and maintenance. "Our mission is to take the passenger experience to a higher level," said Jonathan Massey, Principal for Corgan's Aviation Design Studio. Another important aspect of the design of the terminal satellite concourse is that it can grow and change with demand. "Shanghai is the business leader of China, with a population today of some 24 million people. Its airport should reflect that role and position in the global economy," he said. Corgan is currently working on multiple major airport projects including Dallas Love Field, Dallas/Fort Worth International, Seattle Tacoma International, New York LaGuardia, Houston Hobby, Los Angeles International and Phoenix Sky Harbor, as well as smaller projects at more than 20 airports around the world. Shanghai’s airport authority has been building fourth and fifth runways to facilitate growth in traffic. Between 2011 and 2015 the airport’s passenger numbers are expected to go from 40 million passengers to 60 million by 2015. MA plans to focus on Asia where the demand outlook is strong, fuelled by a growing middle class and increased global and intra-regional trade. The national carrier will thus increase frequencies to key regional cities to benefit from the strong growth in regional demand. MA said its route rationalization will likely have little impact on Malaysia's U.S. inbound tourism as the national carrier will work aggressively with its code share and oneworld partners. MA promises to continue to promote connectivity between Malaysia, the U.S. and other key international destinations as well as contribute towards the overall efforts by the various authorities to increase tourist arrivals to Malaysia. Currently, the airline is offering seamless one-stop air connectivity between Kuala Lumpur and several major cities in the United States of America (USA) through a code-share arrangement with American Airlines and Japan Airlines, its partner airlines in the oneworld alliance. Among the connection is between Kuala Lumpur and the U.S. Cities of Atlanta, Boston, Washington, Houston, Minneapolis, Portland, Seattle, San Francisco, Las Vegas, San Diego, Honolulu and Raleigh via Europe and Japan.